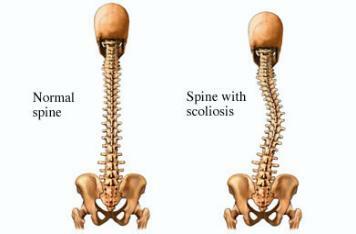 Scoliosis is a lateral curvature of the spine that mostly occurs in the growth spurt just before puberty. Although scoliosis can be caused by conditions such as cerebral palsy and muscular-dystrophy, the cause of many scoliosis conditions are unknown to the medical community. Medical treatment for scoliosis in children is bracing, according to researchers “Bracing in adolescent males had unsuccessful results in 76 percent of the cases, with 46 percent requiring surgery for idiopathic scoliosis” . It is estimated that 38,000 teen and young adults undergo spinal fusions per year in the United States from failed bracing techniques. 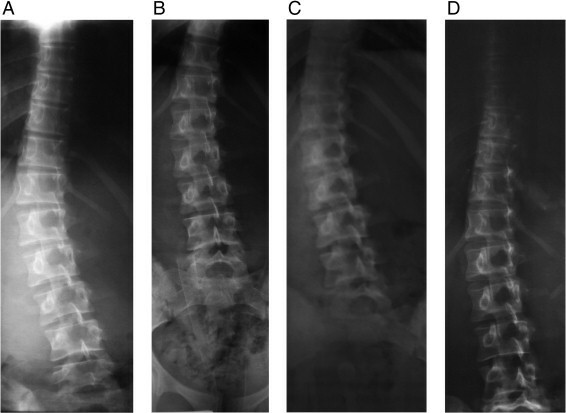 Above are x-rays taken over a 24 month period – from left to right – see the reduction in the scoliosis. If you know someone who suffers from scoliosis, have them evaluated by your local chiropractor, to see if chiropractic may be an option for them.